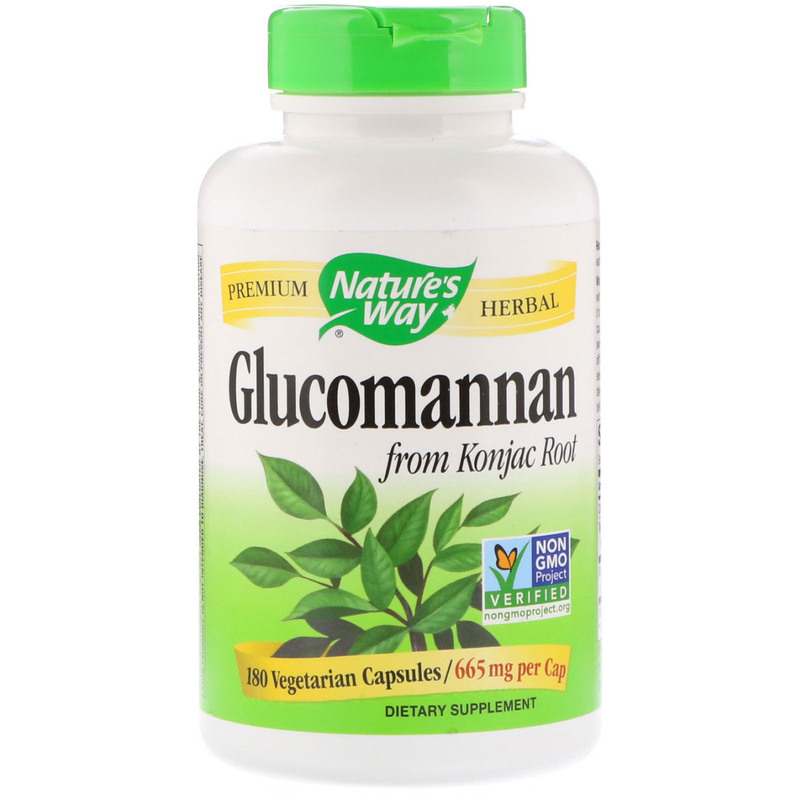 Glucomannan (from Amorphophallus konjac) contains dietary fiber that provides a feeling of fullness. Our Glucomannan is carefully tested and produced to superior quality standards. 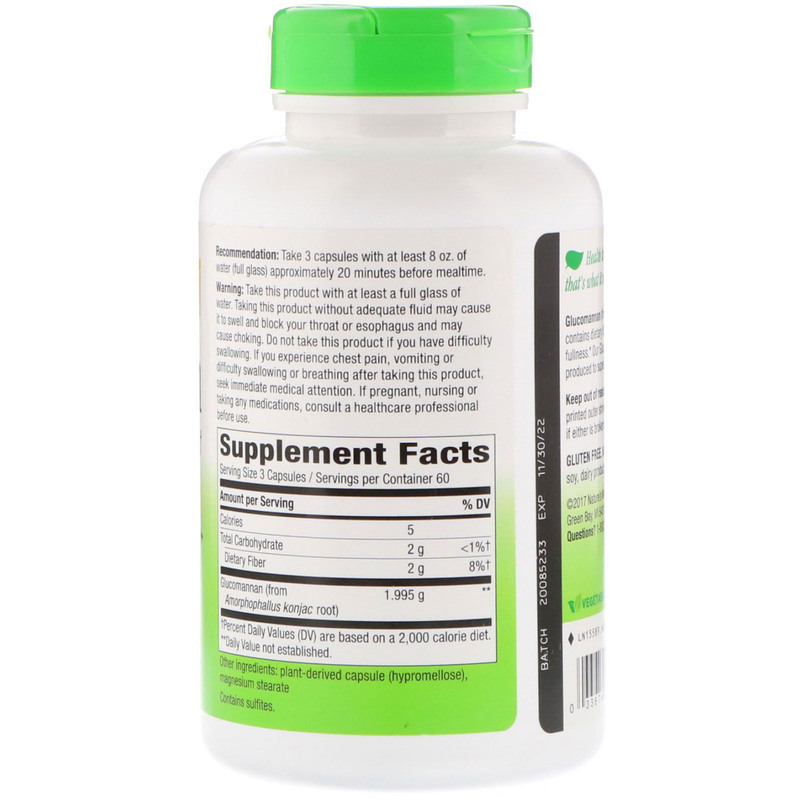 Take 3 capsules with at least 8 oz. of water (full glass) approximately 20 minutes before mealtime. Gluten free. No sugar, salt, yeast, wheat, corn, soy, dairy products, artificial colors or flavors.